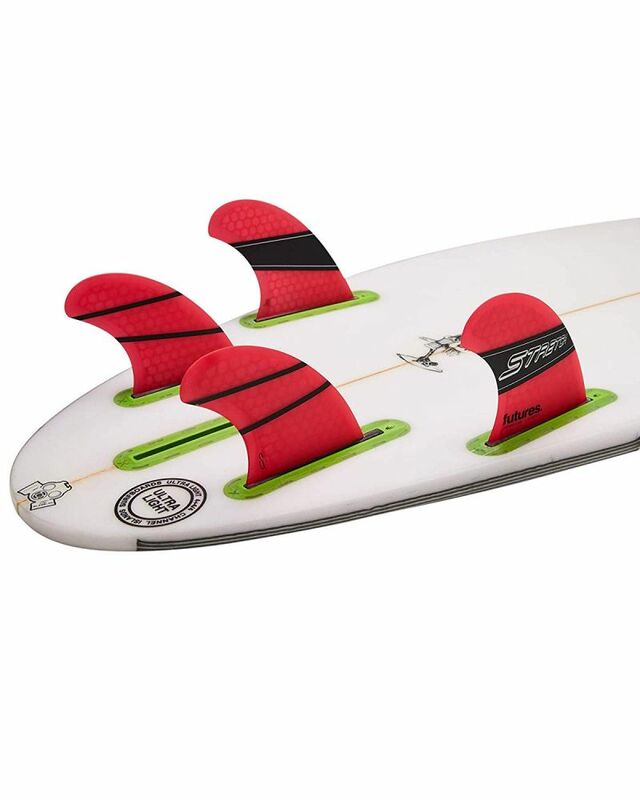 The Stretch Quad, designed by Santa Cruz shaper William Stretch Riedel, is a medium size Speed Generating quad with a Ride Number of 7.2. 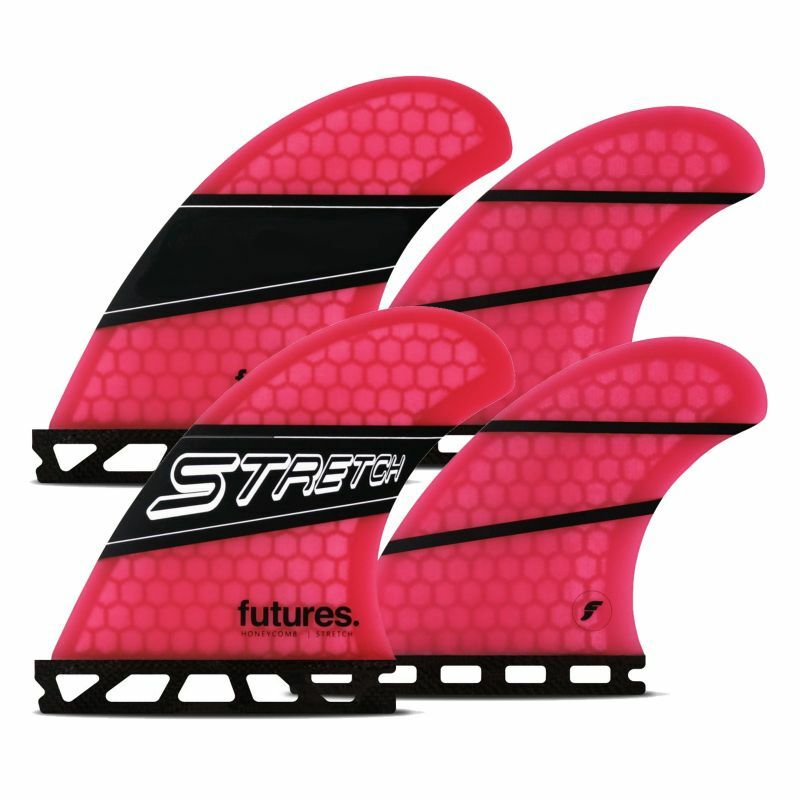 The honeycomb construction combined with a concave foil on the front fins and symmetrical foil on the rear fins create a looser feel, ideal for building speed. Both front and rear templates feature Stretch's signature beak-tip to provide ultimate performance.